As Oman enters the cooler season, it’s a perfect time to run a half marathon. 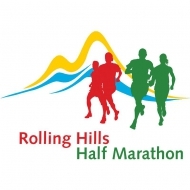 Every year since 2015, now in its third year, the Rolling Hills Half Marathon, this scenic half marathon starts at Shangri-La Resorts. The group of volunteers that organize the race continue to promote the benefits of running and make a generous donation to the local Muscat Charity.